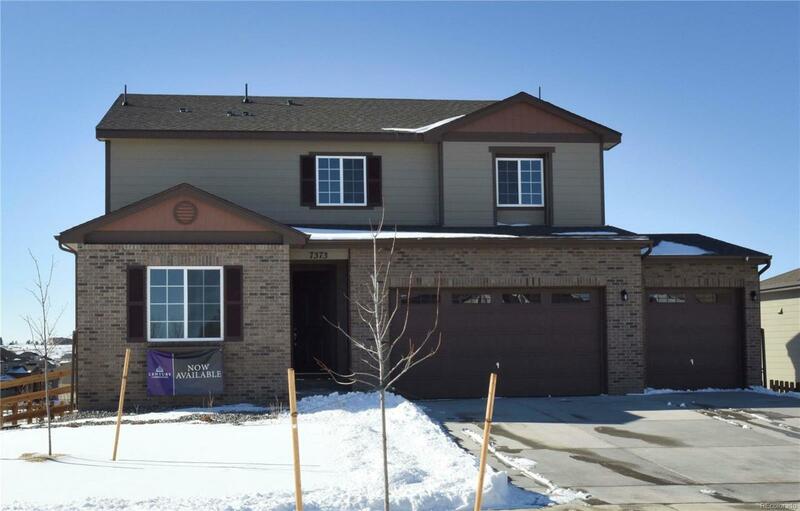 Brand new 2-story home with 3 car garage! Full unfinished walkout basement with 9 ceiling include deck with stairs. Open kitchen with tall 42" upper dusk color cabinets, granite counters, center island & pendant lighting. Open great room features a bedroom on first floor with 3/4 bath. 3 bedrooms upstairs include owners suite with 5-piece master bath, loft, oversized windows, and brick exterior. 9' ceilings at main floor and basement. Price includes upgraded design center selections. Located in Cherry Creek School District.